Be encouraged with these tips. You are in this to win this! Breaking an addiction is one of the biggest hurdles that any given person can face. Wellworks For You would like to take that hurdle and transform it into a clear path to a healthy, tobacco-free life. With our Smoking Cessation Program and these 5 smoking cessation tips we can help you achieve the smoke-free life you’ve been wanting. Don’t believe the lies. “I will cut back on the amount I smoke, each day, until I get to zero.” Well, that never happens. Let us tell you why. If you think you’re doing yourself a favor by only smoking a few cigarettes a day, instead of a pack, you’re not doing anybody any favors. You’re still maintaining an amount of nicotine in your system, and when that stressful day comes, so will the pack of cigarettes. The worst part of nicotine withdrawal lasts about a week, and when you integrate your commitment to quit with our smoking cessation program, you will see positive results. Take advantage of the patch. Along with these smoking cessation tips and Wellworks For You Smoking Cessation Program, there are many other tools such as nicotine patches. Nicotine patches can help keep your nicotine intake at a steady level, without the peaks and valleys. When using these patches, you cannot smoke. Your nicotine levels will skyrocket and affect your health. Medications can help. There are several medications on the market that can help you stop smoking. About 40% of the time, prescription medications will help you succeed along with a smoking cessation program. The way this works, is the medication blocks the brain chemicals that make smoking pleasurable. These prescription medications are not addictive, but they do have side effects. Please talk to your doctor before using any prescription medications to aid smoking cessation. Herbs and cigarette substitutes for the win? You would think herbal supplements and electronic smoking aids would cure your desire for nicotine but in reality, they don’t. None of these herbal supplements are shown to be effective and electronic cigarettes are not shown to be safe. In fact, many of these cigarette substitutes can be quite harmful, containing cancer causing toxins like diethylene glycol. Don’t let the commercials fool you, look elsewhere for help with smoking cessation – not toward herbs and electronic cigarettes. 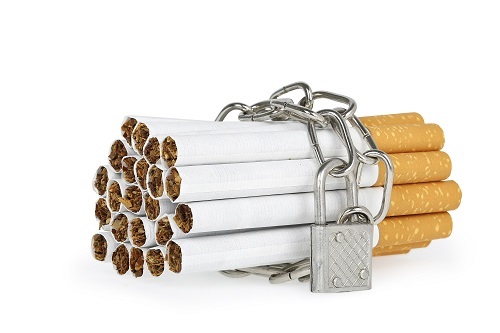 Take advantage of our Smoking Cessation Program. You may have seen the reference to this in the above tips. Wellworks For You is committed to making your employees healthy and happy, at work and at home. Our smoking cessation program is a 6 week campaign that assists your employees in making a positive change that will affect them for the rest of their life. This program includes informational and interactive resources, health coaching and additional tools that will last your employees a lifetime. We at Wellworks For You hope that these 5 smoking cessation tips help in whichever phase of life you or your employees are in. If you would like more information on our Smoking Cessation Program, please contact us at 1-800-425-4657.